Powered IR Receiver connected by data cable to DVR RS485 output for use with DVR IR Remote Control to extend range up to 500m. The Receiver is connected to the DVR RS485 Terminals on the Terminal Block at the rear of the DVR. 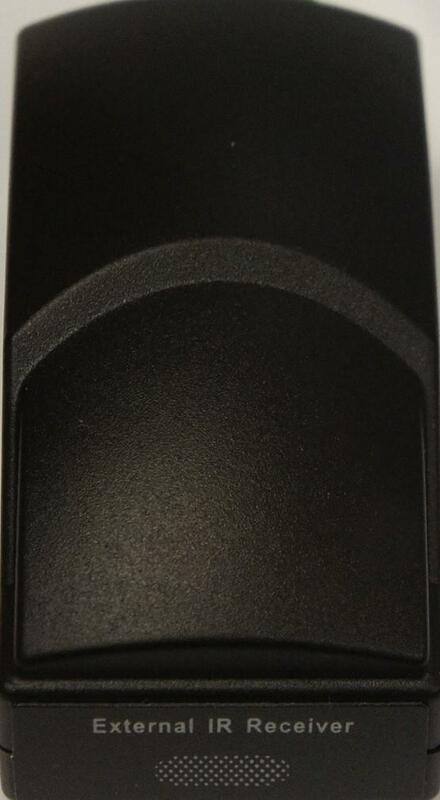 All IR Remote commands are transmitted to the DVR when Remote is pointed at D7324 Receiver. Ideal when DVR is housed in box or cupboard or situated in a different part of the building to the user. Supplied as Receiver and DC Power Supply. All user needs is to run 2 core Data Cable between Receiver and DVR. Powered IR RS485 Extender for use with existing DVR IR Remote Control and RS485 output.